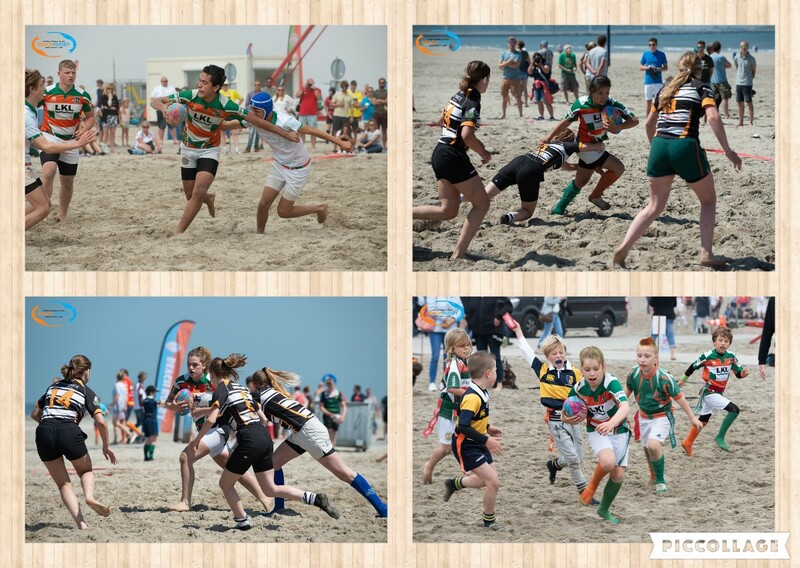 In the Whitsun weekend of the 8th and 9th of June 2019, Rugby club The Hookers from Hoek van Holland organizes the 15th annual International Youth Beach Rugby Tournament at the sports beach in Hoek van Holland. During this tournament the Turfs (U8) and Benjamins (U10) will compete during a one-day tournament. The older youths from the Mini’s and up (U12, U14, U16, U18) can spend up to two days on the beach for rugby matches. Participating clubs from all over the Netherlands take part but every year English teams have joined and in the past we have also welcomed some German guests. The Youth Beach Rugby Tournament has two game variants, the youngest ones play Beach 7’s, from the mini’s and up this year Beach 5’s will be played. At the end of the first day we’ll have the traditional barbecue at the field of Rugby club The Hookers. At the field of Rugby club The Hookers a campground is also set up for the older youth (from U12) which can be booked for one or two nights. This way guests that come from far away do not have to travel back and forth and everyone can play refreshed again on Sunday.